Scientific American (informally abbreviated SciAm or sometimes SA) is an American popular science magazine. Many famous scientists, including Albert Einstein, have contributed articles to it. It is the oldest continuously published monthly magazine in the United States (though it only became monthly in 1921). Porter sold the publication to Alfred Ely Beach and Orson Desaix Munn a mere ten months after founding it. Until 1948, it remained owned by Munn & Company. Under Munn's grandson, Orson Desaix Munn III, it had evolved into something of a "workbench" publication, similar to the twentieth-century incarnation of Popular Science. In the years after World War II, the magazine fell into decline. In 1948, three partners who were planning on starting a new popular science magazine, to be called The Sciences, purchased the assets of the old Scientific American instead and put its name on the designs they had created for their new magazine. Thus the partners—publisher Gerard Piel, editor Dennis Flanagan, and general manager Donald H. Miller, Jr.—essentially created a new magazine. Miller retired in 1979, Flanagan and Piel in 1984, when Gerard Piel's son Jonathan became president and editor; circulation had grown fifteen-fold since 1948. In 1986, it was sold to the Holtzbrinck group of Germany, which has owned it since. In the fall of 2008, Scientific American was put under the control of Nature Publishing Group, a division of Holtzbrinck. Donald Miller died in December 1998, Gerard Piel in September 2004 and Dennis Flanagan in January 2005. Mariette DiChristina is the current editor-in-chief, after John Rennie stepped down in June 2009. 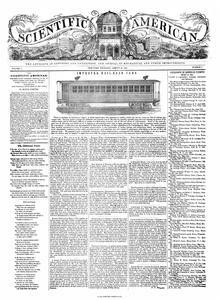 Scientific American published its first foreign edition in 1890, the Spanish-language La America Cientifica. Publication was suspended in 1905, and another 63 years would pass before another foreign-language edition appeared: In 1968, an Italian edition, Le Scienze, was launched, and a Japanese edition, Nikkei Science [ja], followed three years later. A new Spanish edition, Investigación y Ciencia was launched in Spain in 1976, followed by a French edition, Pour la Science [fr], in France in 1977, and a German edition, Spektrum der Wissenschaft [de], in Germany in 1978. A Russian edition V Mire Nauki was launched in the Soviet Union in 1983, and continues in the present-day Russian Federation. Kexue (科学, "Science" in Chinese), a simplified Chinese edition launched in 1979, was the first Western magazine published in the People's Republic of China. Founded in Chongqing, the simplified Chinese magazine was transferred to Beijing in 2001. Later in 2005, a newer edition, Global Science (环球科学), was published instead of Kexue, which shut down due to financial problems. A traditional Chinese edition, known as Scientist [zh], was introduced to Taiwan in 2002. The Hungarian edition Tudomány existed between 1984 and 1992. In 1986, an Arabic edition, Oloom Magazine [ar], was published. In 2002, a Portuguese edition was launched in Brazil. Today, Scientific American publishes 18 foreign-language editions around the globe: Arabic, Brazilian Portuguese, Simplified Chinese, Traditional Chinese, Czech, Dutch, French, German, Greek, Hebrew, Italian, Japanese, Korean, Lithuanian (discontinued after 15 issues), Polish, Romanian, Russian, and Spanish. From 1902 to 1911, Scientific American supervised the publication of the Encyclopedia Americana, which during some of that period was known as The Americana. Scientific American published every Thursday morning at No. 11 Spruce Street, New York, No. 16 State Street, Boston, and No. 2l Arcade Philadelphia, (The principal office being in New York) by Rufus Porter. Each number will be furnished with from two to five original Engravings, many of them elegant, and illustrative of New Inventions, Scientific Principles, and Curious Works; and will contain, in high addition to the most interesting news of passing events, general notices of progress of Mechanical and other Scientific Improvements; American and Foreign. Improvements and Inventions; Catalogues of American Patents; Scientific Essays, illustrative of the principles of the sciences of Mechanics, Chemistry, and Architecture: useful information and instruction in various Arts and Trades; Curious Philosophical Experiments; Miscellaneous Intelligence, Music and Poetry. This paper is especially entitled to the patronage of Mechanics and Manufactures, being the only paper in America, devoted to the interest of those classes; but is particularly useful to farmers, as it will not only appraise them of improvements in agriculture implements, But instruct them in various mechanical trades, and guard them against impositions. As a family newspaper, it will convey more useful intelligence to children and young people, than five times its cost in school instruction. Another important argument in favor of this paper, is that it will be worth two dollars at the end of the year when the volume is complete, (Old volumes of the New York Mechanic, being now worth double the original cost, in cash.) Terms: The Scientific American will be furnished to subscribers at $2.00 per annum, - one dollar in advance, and the balance in six months. Five copies will be sent to one address six months for four dollars in advance. Any person procuring two or more subscribers, will be entitled to a commission of 25 cents each. There is perhaps no mechanical subject, in which improvement has advanced so rapidly, within the last ten years, as that of railroad passenger cars. Let any person contrast the awkward and uncouth cars of '35 with the superbly splendid long cars now running on several of the eastern roads, and he will find it difficult to convey to a third party, a correct idea of the vast extent of improvement. Some of the most elegant cars of this class, and which are of a capacity to accommodate from sixty to eighty passengers, and run with a steadiness hardly equaled by a steamboat in still water, are manufactured by Davenport & Bridges, at their establishment in Cambridgeport, Mass. The manufacturers have recently introduced a variety of excellent improvements in the construction of trucks, springs, and connections, which are calculated to avoid atmospheric resistance, secure safety and convenience, and contribute ease and comfort to passengers, while flying at the rate of 30 or 40 miles per hour. Also in the first issue is commentary on Signor Muzio Muzzi's proposed device for aerial navigation. Dennis Flanagan (1919–2005), fifth editor (1947-1984). The Scientific American 50 award was started in 2002 to recognize contributions to science and technology during the magazine's previous year. The magazine's 50 awards cover many categories including agriculture, communications, defence, environment, and medical diagnostics. The complete list of each year's winners appear in the December issue of the magazine, as well as on the magazine's web site. In March 1996, Scientific American launched its own website that includes articles from current and past issues, online-only features, daily news, weird science, special reports, trivia, "Scidoku" and more. From 1990 to 2005 Scientific American produced a television program on PBS called Scientific American Frontiers with hosts Woodie Flowers and Alan Alda. From 1983 to 1997, Scientific American has produced an encyclopedia set of volumes from their publishing division, the Scientific American Library. These books were not sold in retail stores, but as a Book of the Month Club selection priced from $24.95 to $32.95. Topics covered dozens of areas of scientific knowledge and included in-depth essays on: The Animal Mind; Atmosphere, Climate, and Change; Beyond the Third Dimension; Cosmic Clouds; Cycles of Life • Civilization and the Biosphere; The Discovery Of Subatomic Particles; Diversity and the Tropical Rain Forest; Earthquakes and Geological Discovery; Exploring Planetary Worlds; Gravity's Fatal Attraction; Fire; Fossils And The History Of Life; From Quarks to the Cosmos; A Guided Tour Of The Living Cell; Human Diversity; Perception; The Solar System; Sun and Earth; The Science of Words (Linguistics); The Science Of Musical Sound; The Second Law (of Thermodynamics); Stars; Supercomputing and the Transformation of Science. Scientific American launched a publishing imprint in 2010 in partnership with Farrar, Straus and Giroux. DiChristina, Mariette (2017). Scientific American - The Science Behind the Debates. Special Collector's Edition. Winter 2017/2018. Scientific American. A "collection of updated or adapted Scientific American articles and shorter pieces... ". According to editor Andrea Gawrylewski 'The reader will quickly notice a common theme. ... there really is no debate where the science is concerned'". Contributors include Seth Shostak, Paul Offit, Richard Dawkins and Harriet Hall. In April 1950, the U.S. Atomic Energy Commission ordered Scientific American to cease publication of an issue containing an article by Hans Bethe that appeared to reveal classified information about the thermonuclear hydrogen bomb. Subsequent review of the material determined that the AEC had overreacted. The incident was important for the "new" Scientific American's history, as the AEC's decision to burn 3000 copies of an early press-run of the magazine containing the offending material appeared to be "book burning in a free society" when publisher Gerard Piel leaked the incident to the press. In its January 2002 issue, Scientific American published a series of criticisms of the Bjørn Lomborg book The Skeptical Environmentalist. Cato Institute fellow Patrick J. Michaels said the attacks came because the book "threatens billions of taxpayer dollars that go into the global change kitty every year." Journalist Ronald Bailey called the criticism "disturbing" and "dishonest", writing, "The subhead of the review section, 'Science defends itself against The Skeptical Environmentalist,' gives the show away: Religious and political views need to defend themselves against criticism, but science is supposed to be a process for determining the facts." The May 2007 issue featured a column by Michael Shermer calling for a United States pullout from the Iraq War. In response, Wall Street Journal online columnist James Taranto jokingly called Scientific American "a liberal political magazine". The publisher was criticized in 2009 when it notified collegiate libraries that yearly subscription prices for the magazine would increase by nearly 500% for print and 50% for online access to $1500 yearly. An editorial in the September 2016 issue of Scientific American attacked U.S. presidential candidate Donald Trump for alleged "anti-science" attitudes and rhetoric. This marked the first time that the publication forayed into commenting on U.S. presidential politics. IBM's Watson Computer Wins on Jeopardy! In 2013, Danielle N. Lee, a female scientist who blogged at Scientific American, was called a "whore" in an email by an editor at the science website Biology Online after refusing to write professional content without compensation. When Lee, outraged about the email, wrote a rebuttal on her Scientific American blog, the editor-in-chief of Scientific American, Mariette DiChristina, removed the post, sparking an outrage by supporters of Lee. While DiChristina cited legal reasons for removing the blog, others criticized her for censoring Lee. The editor at Biology Online was fired after the incident. The controversy widened in the ensuing days. The magazine's blog editor, Bora Zivkovic, was the subject of allegations of sexual harassment by another blogger, Monica Byrne. Although the alleged incident had occurred about a year earlier, editor Mariette DiChristina informed readers that the incident had been investigated and resolved to Ms. Byrne's satisfaction. However, the incident involving Dr. Lee had prompted Ms. Byrne to reveal the identity of Zivkovic, following the latter's support of Dr. Lee. Zivkovic responded on Twitter and his own blog, admitting the incident with Ms. Byrne had taken place. His blog post apologized to Ms. Byrne, and referred to the incident as "singular", stating that his behavior was not "engaged in before or since." Due to the allegations, Zivkovic resigned from the board of Science Online, the popular science blogging conference that he helped establish. Following Zivkovic's admission, several prominent female bloggers, including other bloggers for the magazine, wrote their own accounts that contradicted Zivkovic's assertions, alleging additional incidents of sexual harassment. A day after these new revelations, Zivkovic resigned his position at Scientific American, according to a press release from the magazine. ^ a b "Press Room". Scientific American. 2009-08-17. Archived from the original on January 19, 2012. Retrieved 2012-01-24. ^ Lewenstein, B. V. (1989). Magazine Publishing and Popular Science After World War II. American Journalism, 6(4), 218-234. ^ a b Fell, Jason (2009-04-23). "Scientific American Editor, President to Step Down; 5 Percent of Staff Cut". FOLIO. Retrieved 2009-04-26. ^ "Donald H. Miller". New York Times. December 27, 1998. Miller-Donald H., Jr. Vice President and General Manager of the magazine Scientific American for 32 years until his retirement in 1979. Died on December 22, at home in Chappaqua, NY. He was 84. Survived by his wife of 50 years, Claire; children Linda Itkin, Geoff Kaufman, Sheila Miller Bernson, Bruce Miller, Meredith Davis, and Donald H. Miller, M.D; nine grandchildren and one greatgrandchild; and brother Douglas H. Miller. Memorial service will be held on Saturday, January 30, at 2 PM at the Unitarian Universalist Fellowship of Northern Westchester in Mount Kisco, NY. In lieu of flowers, contributions may be made to Hospice Care in Westchester, 100 So. Bedford Road, Mount Kisco, NY 10549. ^ "A Century of Progress". Time. January 1, 1945. Retrieved 2008-07-15. Present editor and publisher (third in the line) is Orson Desaix Munn, 61, a patent lawyer, crack bird hunter and fisherman, rumba fancier, familiar figure in Manhattan café society. ^ Mott, Frank Luther (1970) . A History of American Magazines, 1850-1865 (4th ed.). London: Oxford University Press. p. 316. ISBN 978-0-674-39551-0. Retrieved 9 August 2015. ^ "Munn, Charles Allen". Princeton University Library Finding Aids. Princeton University. Retrieved 9 August 2015. ^ Santora, Marc (January 17, 2005). "Dennis Flanagan, 85, Editor of Scientific American for 37 Years". New York Times. Retrieved 2008-04-01. Dennis Flanagan, who as editor of Scientific American magazine helped foster science writing for the general reader, died at his home in Manhattan on Friday. He was 85. The cause of death was prostate cancer, according to his wife, Barbara Williams Flanagan. Mr. Flanagan, who worked at Scientific American for more than three decades beginning in 1947, teamed editors directly with working scientists, publishing pieces by leading figures like Albert Einstein, Linus Pauling and J. Robert Oppenheimer. ^ "Woodie Flowers, on season 1". Scientific American Frontiers. Chedd-Angier Production Company. 1990–1991. PBS. Archived from the original on 2006. ^ "Alan Alda, on season 4". Scientific American Frontiers. Chedd-Angier Production Company. 1993–1994. PBS. Archived from the original on 2006. ^ "Scientific American Library". LibraryThing. Retrieved November 24, 2016. ^ "FSG, 'Scientific American' Roll Out New Imprint". PublishersWeekly.com. Retrieved 2017-12-10. ^ "New and Notable". Skeptical Inquirer. 42 (3): 61. 2018. ^ Howard, Jennifer (October 13, 2009). "College Library Directors Protest Huge Jump in 'Scientific American' Price". Chronicle of Higher Education. Retrieved 2009-10-14. ^ "Donald Trump's Lack of Respect for Science Is Alarming". Scientific American. September 1, 2016. Retrieved 2017-03-23. ^ Editors, The. "The Top 10 Science Stories of 2011". Retrieved 24 July 2018. ^ "The Top 10 Science Stories of 2012". Retrieved 24 July 2018. ^ Editors, The. "Scientific American 's Top 10 Science Stories of 2013". Retrieved 24 July 2018. ^ Editors, The. "Scientific American 's Top 10 Science Stories of 2014". Retrieved 24 July 2018. ^ Editors, The. "Scientific American's Top 10 Science Stories of 2015". Retrieved 24 July 2018. ^ Hess, Amanda (October 14, 2013). "Scientific American's Troubling Response to Its Blogger Being Called an "Urban Whore"". Slate. ^ "'Scientific American' draws heat over 'urban whore' blog post". Fox News. October 14, 2013. ^ Jaschik, Scott (October 14, 2013). "When Does a Scientist Get Called a Whore?". Inside Higher Ed. ^ Gardner, Joshua (October 15, 2013). "Editor at biology blog fired for calling black female scientist who wouldn't work for free an 'urban whore'". Mail Online. ^ Byrne, Monica. "This Happened", October 14, 2013. Retrieved on 24 October 2013. ^ a b Helmuth, Laura (October 17, 2013). "Don't Be a Creep". Slate. ^ Raeburn, Paul (October 16, 2013). "Scientific American blog editor admits to sexual harassment". Knight Science Journalism at MIT. ^ a b Zivkovic, Bora (October 15, 2013). "This happened". A Blog Around The Clock. Archived from the original on October 21, 2013. ^ Zuiker, Anton (October 16, 2013). "ScienceOnline Board statement". Archived from the original on October 21, 2013. ^ Cooper-White, Macrina (October 17, 2013). "Bora Zivkovic, Scientific American Blog Editor, Responds To Sexual Harassment Allegations". ^ Lee, Jane (October 17, 2013). "Shakeup at Scientific American Over Sexual Harassment". ^ Sorg, Lisa (October 18, 2013). "The fall of Pittsboro scientist and Scientific American blog editor Bora Zivkovic". Indy Week. Archived from the original on October 25, 2013. ^ "Bora Zivkovic resigns from Scientific American" (Press release). Scientific American. October 18, 2013. Archived from the original on October 25, 2013. Retrieved October 24, 2013. Lewenstein, Bruce V (1989). "Magazine Publishing and Popular Science After World War II". American Journalism. 6 (4): 218–34. doi:10.1080/08821127.1989.10731208. Wikimedia Commons has media related to Scientific American.